Airline Tycoon 2 Wrapper update! On September 3, 2014 / Gamersgate Games, Mac Simulator Games, Wineskin Wrapper / Comments Off on Airline Tycoon 2 Wrapper update! Here an update of the Wrapper of Airline Tycoon 2. The game port had some startup issues for some gfx cards, but the Mac driver in the latest Wine engines makes it stable, so a Wrapper update was quite obvious. It should fix some little bugs and has a new paulthetall.com branded Icon. Have fun! On August 16, 2014 / Game Port, Mac Racing Games, Wineskin Wrapper / Comments Off on rFactor for Mac! Rfactor is a popular racing game in the way of Live for Speed and Race07. Game has great graphics and has realistic gameplay. 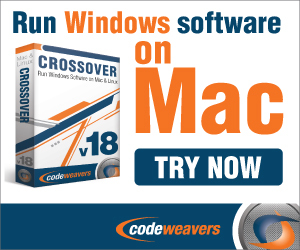 Before downloading the wrapper, make sure security settings are set correctly when you have Mavericks OSX or higher. Check out the video tutorial below to see the visual instructions and some game-play with the demo version. Have fun! Simply download and extract the Wrapper –> download the rFactor Demo (unlockable to full version using a legal serial) –> double-click wrapper –> install windows software –> navigate to the demo setup file and double-click it –> the setup will start –> install the game –> after installation set the rFactor.exe as start executable –> double-click the Wrapper/icon to play! Have fun! The first installment in the rFactor series featured mixed class road racing with ultra realistic dynamics, an immersive sound environment and stunning graphics. It was the game you would want to play. A new Wine version is out on WineHQ since last Friday! 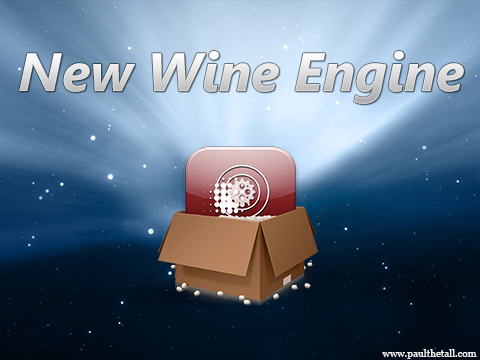 The wine version is now build in an engine and is available in “Winery“. Winery is a program where you can build wrappers with, and is available on the Wineskin website. I used Winery to build all my Wrappers for this website. The engine itself isn’t available in winery yet, but doh123 will add it as soon as he can. There are some important crypto improvements which fixes some login issues in some programs/game clients, so that’s great news! See more details below and on WineHQ. You can change the wine engine in existing Wrappers doing: Right-click Wrapper –> show package content –> wineskin –. advanced –> tools –> change engine –> change it to the latest engine you downloaded, in this case 1.7.24. The Wine development release 1.7.24 is now available. Beginning of some DirectWrite classes implementation. Initial wrapper dll for the packet capture library. On July 23, 2014 / Game Port, Mac Action Games, Wineskin Wrapper / Comments Off on 007 Nightfire Wrapper update! Here an update of the Wrapper of 007 Nightfire. The engine isn’t changed, only a new Icon and an update Wineskin version. This job including new icon has been done by Ian Pickert. Hope everyone loves the new icon as well :) Ian added that the game works on his Intel HD 4000 Graphics Macbook as well. Have fun! A Tale of 2 Kingdoms for the Mac! On June 27, 2014 / Game Port, Mac Adventure Games, Wineskin Wrapper / Comments Off on A Tale of 2 Kingdoms for the Mac! Today a free adventure game. A Tale of Two Kingdoms is an epic faerie tale, in the classic style of the famous Sierra and LucasArts graphical adventure games. It is a full-length game with an atmosphere of magic and intrigue. Featuring five different endings; many sidequests and alternative solutions; teamwork with non-player characters; 75 minutes of high quality music; and director’s commentary. Check out the game play trailer below to get introduced! The ancient kingdom of Theylinn is beset by enemies both from within and without. Within the castle walls, nobles vie for the old King’s favor, and not everybody is happy with the sole heir to the throne, princess Rhiannon. Meanwhile, danger approaches, in the form of an invading army, a hostile giant, and a mercenary troop who are ancient enemies of the Theylann king. And there is mystery yet. For hidden within the borders of Theylinn lies a second kingdom, named Thierna na Oge, where the faeries reign. Little is known about this shrouded, exotic realm. Simply download the Wrapper and extract and play!